Everyone loves a little green in their house, especially during the long winter months. Well, indoor plants are not only beautiful to look at, but many of them can clean the air in your home too. Double bonus! Here’s a list of some of the best plants for indoor air quality. Many homes and offices are closed up for most of the year and don’t get much fresh air. So adding some houseplant that purify the air is super important! Plants are fantastic natural air filters (thank you mother nature! ), but some are better at cleaning the air than others. The plants in this list purify the air by removing common household toxins, and creating clean air for us to breath. Amazing stuff! 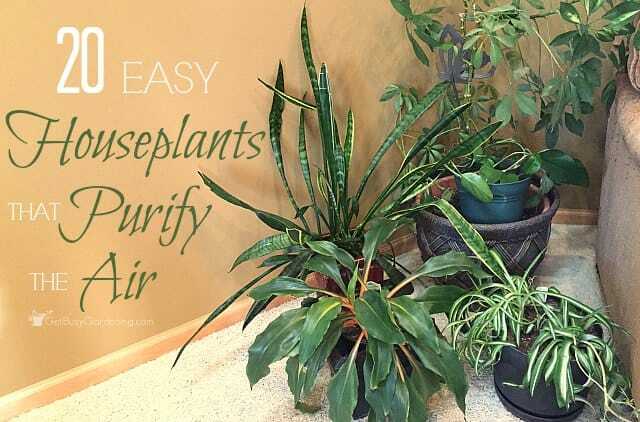 The plants in this list are not only clean air houseplants, but they are also easy to care for. 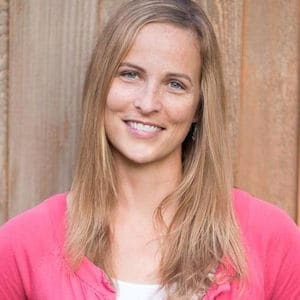 They are also commonly found at garden centers and big box stores, so it’ll be easy for you to find them. 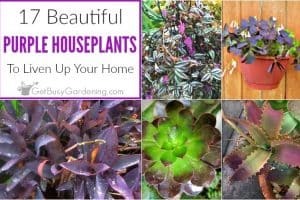 Plus, I have experience growing all of these plants, so I can vouch for them (and they are some of my favorites too!). 1. Heartleaf philodendron – One of my favorite easy to grow houseplants, the heartleaf philodendron is also a super cute houseplant! It’s a great vining plant to grow on top of a shelf or cabinet, on a window ledge, or in a hanging basket. It’s also super easy to propagate, and grows well in low light. 2. Pothos – An all around great houseplant, and a true classic too! Pothos was one of the first houseplants I ever owned, and I still have a few in my collection. They are pest resistant, grow well in low light, are easy to propagate, and thrive on neglect! You really can’t lose when you grow pothos plants. 3. Chinese evergreen – In addition to the dramatic leaf shape and texture, and their stunning dark green foliage, Chinese evergreens are great air purifying hous plants too. 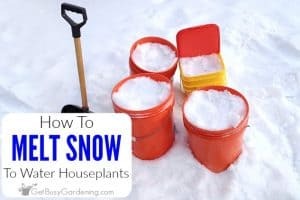 Plus, many people don’t realize that they’re also flowering houseplants – a welcome surprise, especially in the dead of winter! 4. Snake plant – Not only are they one of the best plants for indoor air, snake plants are also a tough houseplant that thrives on neglect. They come in lots of different shapes and colors too, which is awesome! I love adding them to mixed planters, but they also make a bold statement in a pot all by themselves. Healthy snake plants rarely have problems with houseplant pests, they grow well in low light conditions, and love to be pot-bound. 5. Spider plant – Another classic houseplant, spider plants are super easy to grow indoor plants that look great in hanging baskets, or grown atop a bookshelf or pedestal. They’re also easy to propagate, and it’s fun to share the babies with friends! 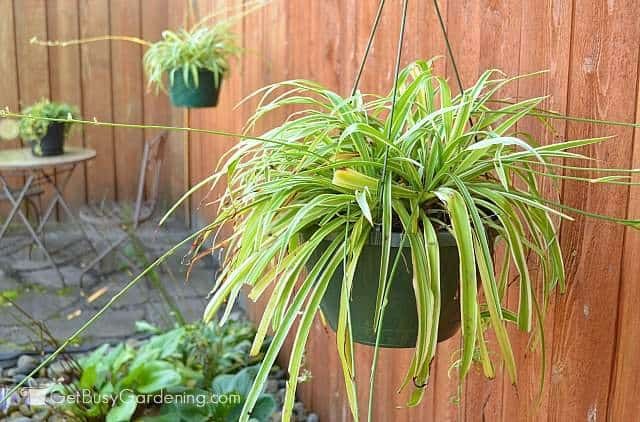 Spider plants love to be pot-bound, don’t require any special care, are resistant to pests, and will happily grow in a room that doesn’t get much sunlight. 6. Dracaena marginata – A wonderful tropical indoor plant, dracaena marginata is one of the most common houseplants out there. Dracaena marginata plants live for many years, and can grow to be several feet tall. They tolerate low light environments, but will grow best near a sunny window. One of the things I love the most about them is that you can find them in multiple colors! 7. Aloe vera – Best known for it’s healing properties, aloe vera make great houseplants that can also help to clean the air. They are succulent plants, so they don’t require much water. Aloe vera plants are pest resistant, and will grow best on a sunny window ledge, and are easy to propagate. 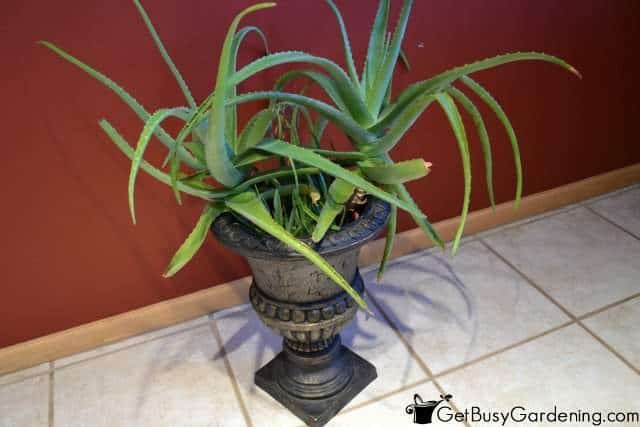 If you tend to overwater houseplants, then you should grow your aloe vera in a terracotta pot in fast draining soil. 8. Peace lily – Not only are they one of the best plants for indoor air, they are also great low light house plants – and they grow flowers too! 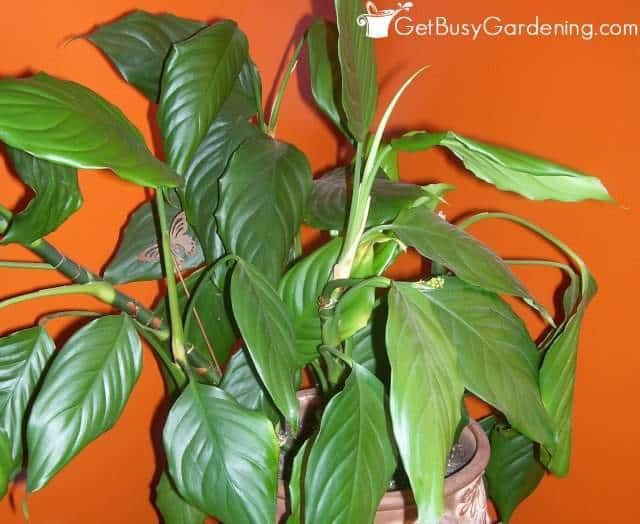 Plus, peace lilies rarely have problems with houseplant pests, and they are very forgiving of being neglected. Peace lilies have a lot going for them, and are one of the all-around best houseplants you can buy! 9. Areca Palm – If you want to try your hand at growing a palm plant indoors, then get yourself a Areca palm. Not only are they one of the most commonly sold palm plants on the market, they are also easy to care for. Palm plants don’t need a ton of light, and will tolerate a bit of neglect too. 10. 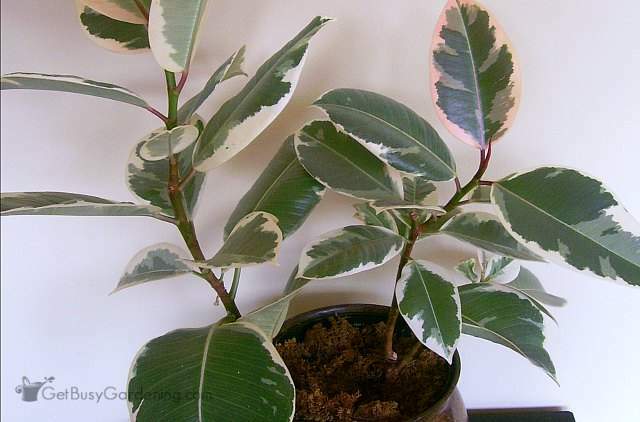 Rubber plant (Ficus elastica) – Another very commonly sold houseplant, rubber plants are fairly easy to grow too. They are gorgeous, and the unique color of the leaves make great contrasts to green foliage plants. Rubber plants prefer to be grown in bright light, and like their soil to dry out between waterings (take care not to overwater this plant!). If you can find a variegated rubber plant, grab it! They are one of my all-time favorites! 11. Corn plant (Dracaena fragrans) – Corn plants have a funny name because they look similar to corn, but they are one of the best plants for indoor air – and they’re pretty plants too. Another great tropical indoor plant, corn plants grow great in a dark corner and don’t require any special care. They will even get flower spikes with cute little flower poofs when grown in the right environment. 12. 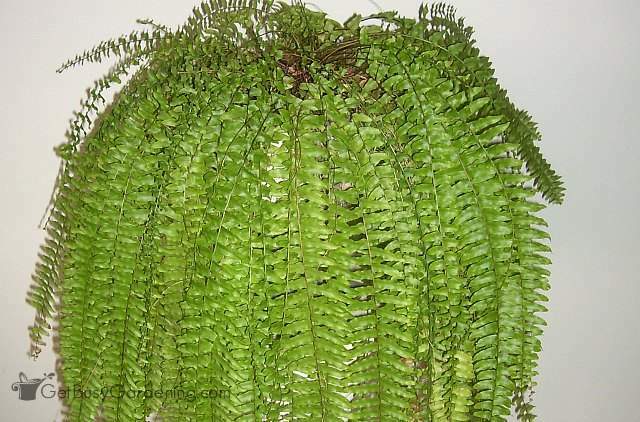 Boston fern – My favorite way to display my Boston fern is on top of a tall plant pedestal. They also look gorgeous in hanging baskets and large urn style planters. 13. Phalaenopsis orchid – Who doesn’t love orchids! There are tons of different varieties of orchids, but the ones that are the best at cleaning the air are phalaenopsis orchids (aka: moth orchids). Lucky for us because phalaenopsis orchids are also the easiest types of orchids to grow as houseplants. Among the most common flowering house plants, phalaenopsis orchids bloom during the winter just when most of us need it the most! 14. 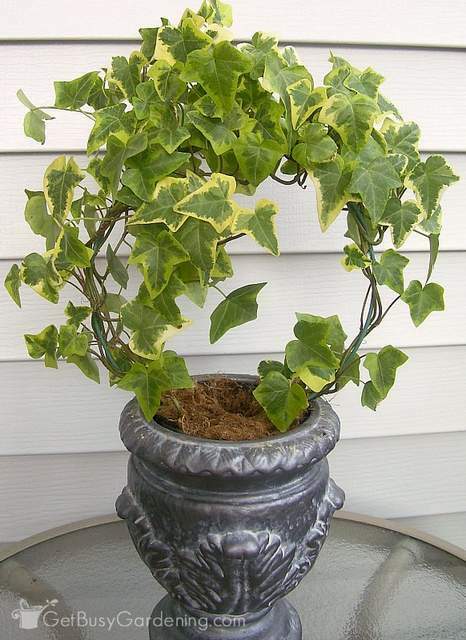 English ivy – One of the most common vining houseplants on the market, English ivies are super fun to grow on topiary forms or in hanging baskets. They make wonderful filler and spiller plants for mixed planters, and can even be used as annual plants outside in your garden. Ivies are fairly easy to grow houseplants, and they’re super easy to propagate… but watch out for spider mites; the love ivy plants! 15. 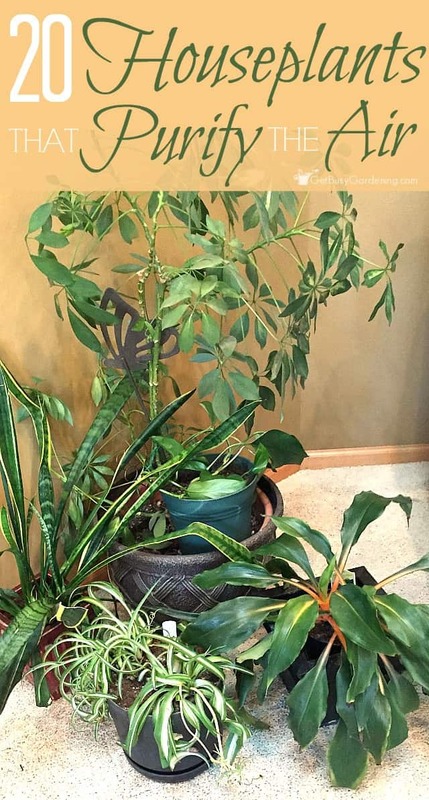 Schefflera, or Umbrella Tree – I love my umbrella tree, it’s such a unique houseplant. Schefflera plants are really easy to grow, and very forgiving houseplants. They will tolerate their soil drying out, but prefer it to be kept evenly moist. They can grow into huge trees, but there are also dwarf varieties that grow well indoors. 16. Dieffenbachia (Dumb cane) – Another easy to care for houseplant that helps to clean indoor air, dumb cane are also great low light houseplants. They have gorgeous foliage, and come in variety of sizes. But be careful if you have kids or pets. Dumb cane is the common name because when eaten, the sap can cause paralysis of the vocal cords and temporary loss of speech – so they should be treated as poisonous house plants. Learn how to grow dieffenbachia plants here. 17. 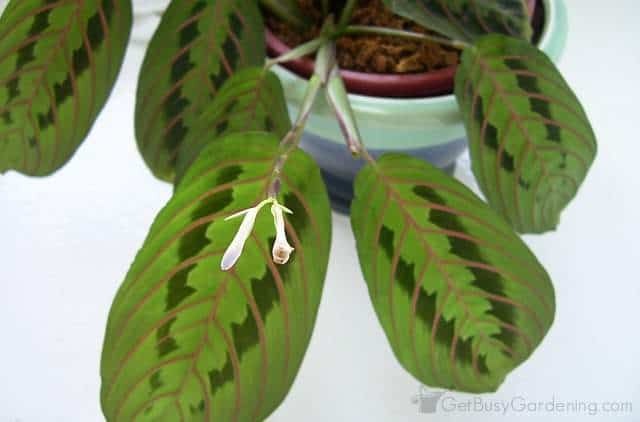 Prayer Plant – A super fun to grow plant that looks great in a hanging basket, prayer plants get their name because the leaves fold up at night like praying hands. Prayer plants are happiest when grown in a room with filtered light, and when their soil is kept evenly moist. The foliage colors are stunning, and prayer plants make great additions to mixed containers too. 18. Norfolk Island Pine – Not only are they one of the best plants for indoor air, but Norfolk pines can also double as living Christmas trees! They can grow into large floor plants, and live for many years. Healthy Norfolk pines don’t usually have trouble with houseplant pests, and they are fairly easy to grow. 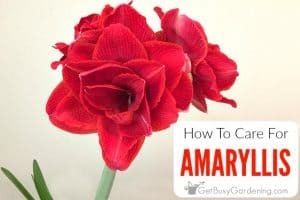 Plop them near a sunny window, keep their soil evenly moist (but be careful not to overwater! ), talk to them once and a while, and your Norfolk pine will thrive! 19. Weeping fig ficus (Ficus benjamina) – Another plant that can grow into a tree in the right conditions, weeping figs are wonderful houseplants that are easy to grow. (Heck, they can even double as living Christmas trees too, for the non-traditional!) The biggest problem I have with my ficus tree is keeping it dusted – haha! 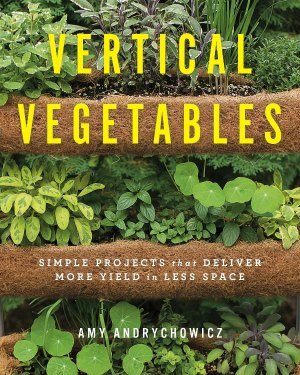 Grow it near a sunny window and keep the soil evenly watered, and you’ll have a tree in no time! 20. Christmas Cactus – One of the best winter blooming plants, these easy to grow succulent plants got their name because they bloom around Christmas time – making them a super popular holiday plant! 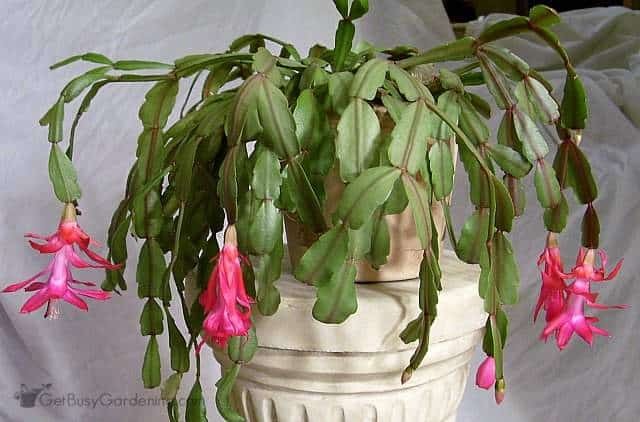 Christmas cactus plants will bloom with little help from you, and are easy to propagate and share with friends! Add a couple of these clean air houseplants to the rooms that you use the most, like your bedroom or office, and you’ll be breathing easier and enjoying beautiful houseplants all year round! 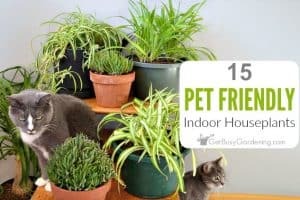 This list of my top picks for the best plants for indoor air quality is a great place to start. Share your top picks for the best plants for indoor air quality in the comments below. Ha, ha, Yes! Love it. My passion is house plants my kitchen is full and they are all over my living room. I want to get more but I don’t want to press my luck am I foolish for feeling that way do you think. I really really love plants. It’s part of my life. I live by myself and I am one that talks to the plants they keep me company LOL. I had raised two of these plants for 10 years. After losing them during a move, I have not been able to find them. They are purple Rosetts with white frosted edges. Please contact me if you know anything about these beautiful purple flowers. Gloxinia is a different type of plant and not a type of African violet. Is this the plant you’re looking for… Gloxinia? What is the scientific name of the Chinese Evergreen above? It wasn’t marked when I got it, but I believe it’s Aglaonema modestum.